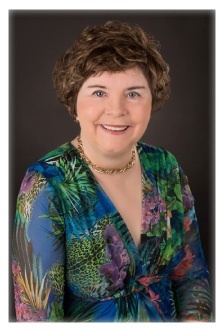 I wish to share with you the guest possibility of attorney and afterlife expert Roberta Grimes who illuminates what for some can be a difficult topic, but one that we must increasingly face as the boomer population ages. For those who worry about dying or losing a loved one, or those who fret about the death of a pet, Roberta brings her passion for the subject and 40 years of scholarly in-depth study to deliver concrete answers to all your questions. After two “experiences of light” in childhood, Roberta was determined to understanding the afterlife. She spent decades studying nearly 200 years of abundant and consistent communications from those who have died. As a result of this disciplined research and her study of quantum physics and consciousness evidence, she can delineate with clarity what comes next. In doing so, she removes the elements of darkness and superstition that once permeated this topic and brings us a comprehensive understanding of death that is uplifting and even joyful. • What are the kinds of evidence about the afterlife that are available to us? • Where is the afterlife and how does it work? • How is it that quantum physics is related to the physics of the afterlife? • Why is it that we have little or no awareness of the afterlife? • How does death happen, and how does it “feel”? • What can we know about God? • What are heaven and hell, and how can we learn the truth about them? • What can we know about the meaning and purpose of our lives? 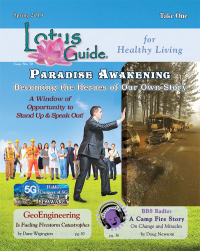 Roberta Grimes is a business attorney, novelist and speaker based in Austin, Texas, who had two extraordinary experiences of light as a child. In an attempt to understand her experiences, she has spent decades studying nearly 200 years of abundant and consistent communications from the dead and other afterlife-related evidence that eventually enabled her to assemble an in-depth understanding of who and what we are, how reality works, the nature of God, and the meaning and purpose of our lives. 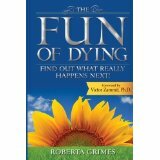 Roberta has learned so much about the death process and the period immediately following death that in 2010 she published a brief summary of the best information called The Fun of Dying – Find Out What Really Happens Next. Her second book about the afterlife, The Fun of Staying in Touch, will document the many ways in which the dead contact us, and the wonderful recent research that is making it easier for us to contact them.